All SANSOM homes currently listed for sale in Boerne as of 04/20/2019 are shown below. You can change the search criteria at any time by pressing the 'Change Search' button below. 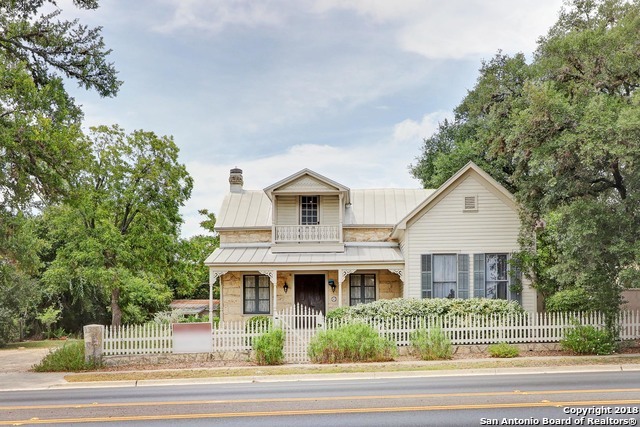 "GREAT HOME FOR BUSINESS IN THE HEART OF BOERNE! 1880 STONE HOUSE, WOOD FLOORS, ORIGINAL BEAD BOARD, 20 THICK STONE WALLS AND HUGE WOOD BEAMS. KITCHEN HAS VIKING GAS RANGE / VENT HOOD AND MATCHING REFRIGERATOR. ANTIQUE SODA BAR W/ STOOLS, STAINED GLASS WINDOWS FROM FRANCE, STANDING SEAM METAL ROOF, 2 CAR CARPORT AND SEPARATE 896 SQ. FT. BUILDING W/ 3 ROOMS & FULL BATH AND A POLE BARN THAT COULD BE ENCLOSED. TONS OF POTENTIAL LOCATED RIGHT ACROSS FROM BOERNE LIBRARY, AMPITHEATER & UPCOMING CITY "